Keeping a journal or diary has been a thing since I was born but as years progressed and we grew older, they just sort of got perceived as something lame or uncool to do but hey it seems as though journals are back in fashion again and this time they are here to stay. GOALS/IDEAS JOURNAL – it really doesn’t have to be as serious as it sounds, note down all the big and small dreams that you have. Businesses you would like to start, how you plan on getting started, who to talk to, proposal, your vision, what you need to actually get there, all the nitty-gritty things that will help you start your business and make it a success. Write down quotes too that will keep you inspired and motivated to get up and work. TRACKING JOURNAL – you can create a 30-day habit tracker whereby you list all the habits you would like to let go of and/or habits you would like to start and everyday you cross what you did. So, for instance, if you went for a jog and didn’t hit the snooze button in the morning then you cross off the box for that day. This can be fun because it makes you aware of what you do every single day and at the end of the month you get to evaluate how you did and where you need to improve next time. Also, you could create a money-tracker and jot down how much you spent each day or week. BLOG POST IDEAS JOURNAL – this one is for the bloggers, it is super helpful to have a journal for your blog where you will write down all the blog post ideas for your blog. You can make a list of titles then draft the essential points of a particular blog post from the back of your journal. You can even choose to separate your ideas into categories like, Personal, Traveling, Advice and so on. Having a blog post ideas journal is useful in the sense that you pretty much don’t run out of things to post on your blog because your journal is filled with ideas. TRAVEL JOURNAL – you don’t necessarily have to be a traveler to have this journal but having this kind of journal will motivate you to save up and start traveling more. This is not just about traveling but it’s also about the local places (restaurants, shops, tourist attractions) that you would like to visit. In your travel journal you can list the local cities you would like to visit, provinces/states and countries too. Also mention what you would like to do and see when you get there, estimate how much you will need to cover your trip (do your research) and give some feedback when you have been to a certain place. ART JOURNAL – you could doodle/draw using pencils, crayons or paint and you could cut out pictures and colours from magazines and paste them in your journal as a collage. In this journal, your imagination should just go wild, anything you do is bound to turn out good, just listen to some good music and express yourself by making a mess. 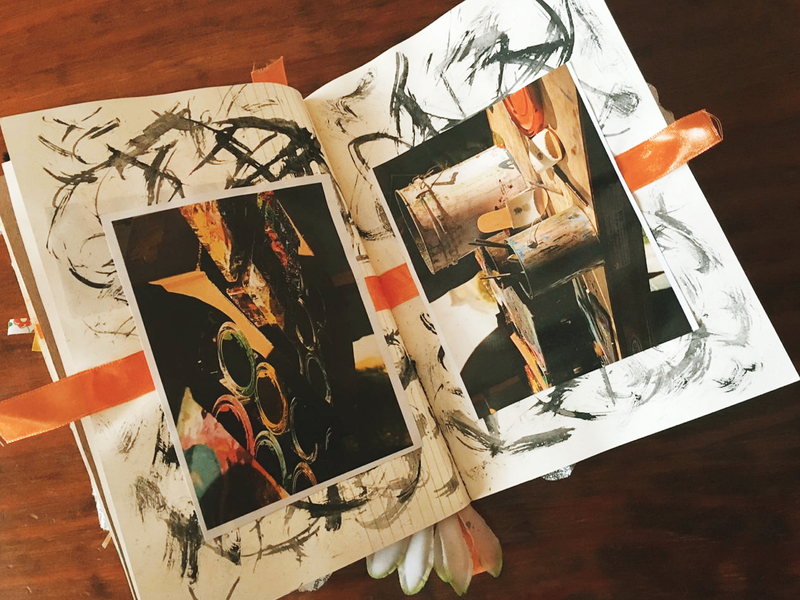 Having an art journal is super handy if you are one of those who can’t seem to stop thinking and if you have had an unpleasant day because it helps you unwind and forget about everything else and focus on creating something beautiful. LIST/BULLET JOURNAL – list journals are also quite fun and actually encourage you to think fast. You can make lists of literally anything – bucket list, fun things to do during the weekend, recipes to try out, things that make you happy, habits to adopt, movies to watch or songs that make you feel good. Hopefully now you know where to start and how to fill in those blank pages and if you need more inspiration you can always check out Pinterest to make your mind go wild with more ideas. The key is to hang on to them and as the years pass you can watch yourself grow. In a way it’s like reading a book about you. This is great. Happy to see you’re doing this. That’s too many books 😭😭 you’re trying! One can literally not have too many notebooks/journals. I love all the ideas you came up with for yours. I have one for work, one for blogging ideas and notes, I’m thinking about starting one to track what I eat and how I react to it, I have one for quotes, one with samples of all the washi tapes I own and probably some more, I forgot about. I love writing things down and don’t just rely on technology. No such thing as too many journals hey🤗 and I personally feel like I can’t trust technology to keep my personal stuff because clumsy me might just lose the phone or accidentally drop it – goodbye ideas and future goals😅. I have so many empty journals this post was needed! Love it.